The concept of SALMTEC focuses on creation of a framework for developing and presenting learning opportunities that build capacity for effective land management of natural resources in western Canada. SALMTEC was recently founded in Calgary, Alberta and is the culmination of over ten years of experience in providing learning opportunities to various professional and volunteer groups. SALMTEC's vision is to create a learning centre that provides a standard of excellence in materials creation and presentation by utilizing subject matter expert knowledge and experiences in a manner that is accessible to a wide variety of participants. Materials will be developed to meet the needs of the science and land management community in western Canada. 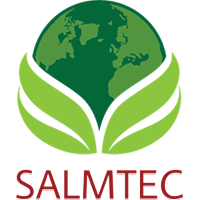 SALMTEC's focus is to provide the mechanisms to collaborate with a wide variety of subject matter experts and to create materials, tools and opportunities to meet the needs of the applied science and land management community. These mechanisms support identification of a need, collaboration with subject expert(s), creation and management of standards when producing presentation quality materials, and accessibility to materials by a diverse audience throughout western Canada. SALMTEC’s approach is to create training and educational opportunities that bridge the gap between understanding land management objectives and designing scientific investigations that inform these objectives. SALMTEC builds on collaborative relationships with western Canada’s leading subject matter experts and provides standards for development and presentation of materials that ensures high quality.